Hope everyone is having a great weekend. It’s actually starting to look like fall here with turning leaves and a rain storm! I didn’t mind getting working up at 2am by a massive thunder and lightening storm and downpour Saturday morning, we need the rain and it was pretty! Temps are staying below the 90s with more rain in the forecast, so that’s awesome. Maybe boot weather is just around the corner. Wet weather and chilly wind means Miko is happy to snuggle inside. The guys over at The Vegan Zombie have posted more videos from the Vegan Vacation at Sea Alaska and you can see us hanging out at the wine and vegan cheese party in the Day 2 video and gorgeous glacier views and footage of a bear in the Day 3 video! Fun memories and I’m looking forward to the rest of the videos. 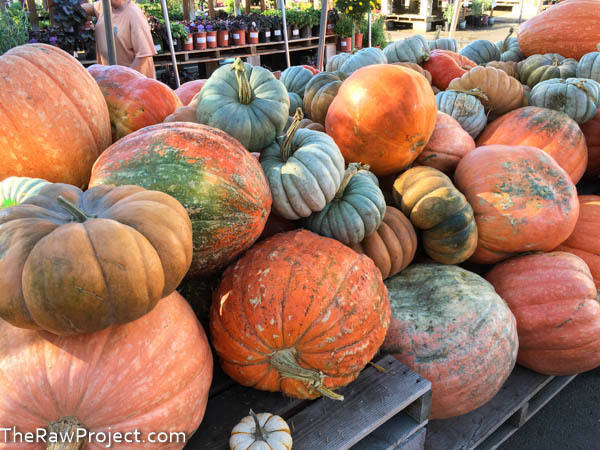 Last Sunday we did get out for a little pumpkin shopping where I had trouble deciding what to buy, there was such a great selection of unique ones! I ended up coming home with 4 pumpkins, including one huge one, and a decorative squash for only $20! After watching the Vegan Black Metal Chef make great tofu creations with a deep frying machine on the cruise, hubby decided we needed one too. I know that goes against my low oil and oil free methods at home, but everything in moderation and this seemed like a fun way for us to create vegan recipes together. Plus he made a great case that it’s really not that bad when done properly. 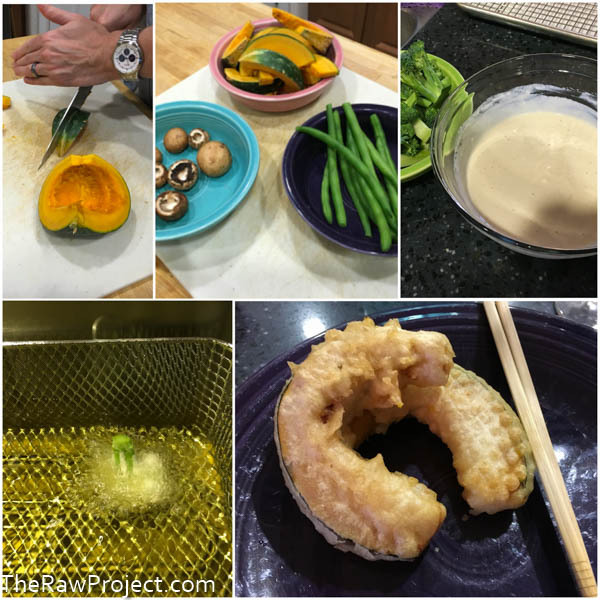 We tried it with a batch of vegan tempura that included kabocha squash, broccoli, and green beans. For our first batch, it came out good with a nice texture and not as greasy as I thought it would be since we were careful making sure the oil was hot enough and not leaving them in too long. It’s a fun weekend kitchen gadget and next we’ll try the Vegan Black Metal Chef’s panko crusted tofu that was so good. 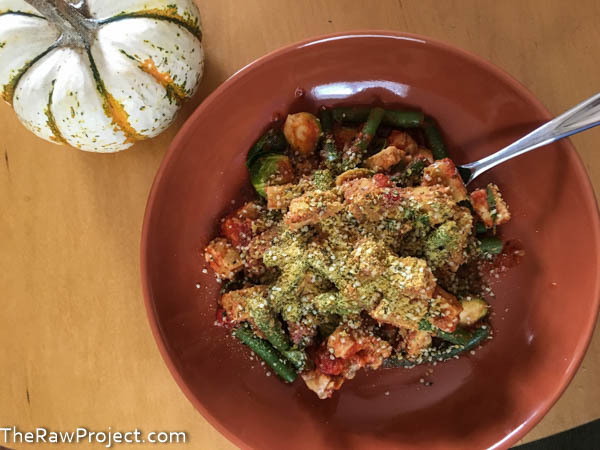 Along with salads and smoothies, I’ve also been mixing it up a little with my oil free tofu stir fries using a sweet chili sauce in this one for flare. And a spicy tomato sauce in this one for a kicky Italian tempeh stir fry. 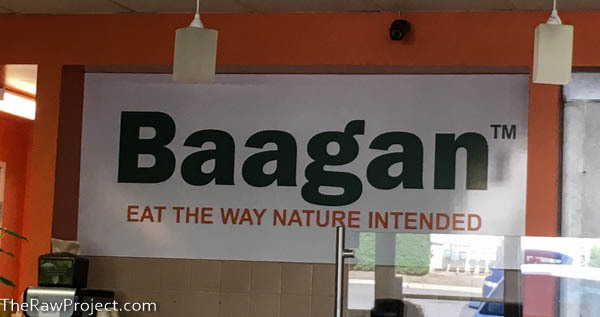 Baagan is one of my favorite local vegan restaurants for the high raw and delicious offerings. But our location recently moved to a bigger location because they needed a bigger kitchen for food prep. That’s awesome that they’ve become so popular they had to grow for sure! But it’s not as close to my work as it used to be and I wasn’t sure I could cram a trip to the new location in my short lunch hour. I finally did it last week and like the new location, it’s bigger and has a salad and wrap assembly line now kind of like a burrito place. I got the nut burger with avocado. It was wonderful with a hearty texture, creamy sauce, and great flavors. The drive, however, was longer with more traffic to battle and I’ll try ordering online before arriving next time to have a little more time to eat before rushing back to work. 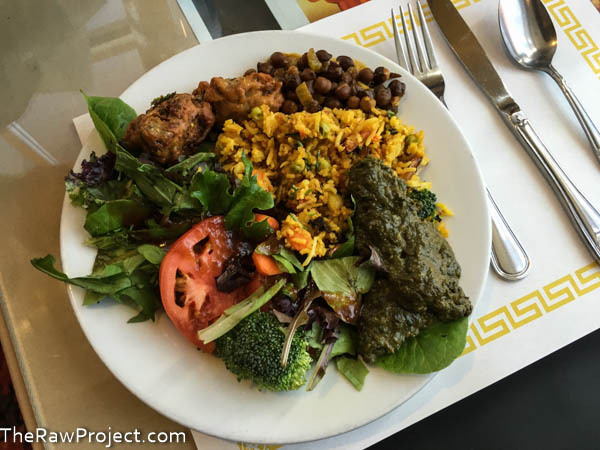 I also met my dad and sister for lunch at an Indian Buffet where I can always find great vegan options from spiced lentils, chana masala, spiced potatoes, and a delicious spiced spinach dish that looks, uh interesting. 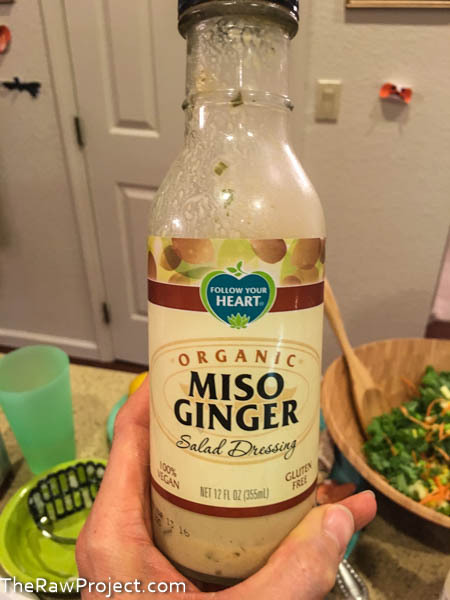 We had a casual family gathering last night where I got to bring a hearty vegan option and try Follow Your Heart’s Organic Miso Ginger dressing from my sister’s fridge on a kale salad. It’s good, tangy and creamy with a nice range of savory. I’d probably rather whip up an oil-free ginger miso dressing in the blender with simpler ingredients. But this is good for a fast option. Since it is starting to look like fall here that means chili weather for hubby, he is a fan of chili in just about any form and thankfully it’s so easy to make a great vegan chili now. But I remembered a pumpkin chili recipe I made years ago from AllRecipes, back before we were vegans, and decided to look it up. Thankfully it’s simple to veganize, I just swapped ground turkey for Gardein Beefless Grounds to create a hearty fall recipe my whole family would like and it worked out, it only took about 20 minutes to make at home and I took it in a slow cooker to keep warm before serving at my sister’s house. 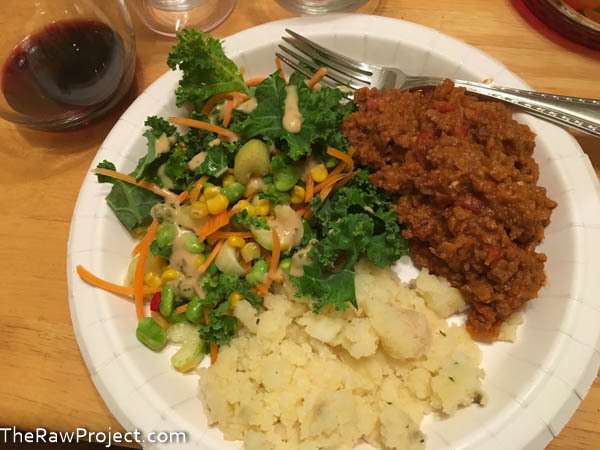 The texture of the Gardein Grounds are perfect for hearty chili and I’m guessing it could fool non-vegans easily. I like that it’s low calorie, low fat, but high in protein and even has fiber. This new plant-based living book might be on my Christmas shopping list. 5 great documentaries on Netflix for vegans. I tried to talk my dad into watching Cowspiracy last night, we’ll see if it actually happens. Just another article on taking control of health through diet over medications. NPR takes a tough look at the dangers of not factoring in environmental sustainability in our health and dietary guidelines. Should we even trust government dietary guidelines? 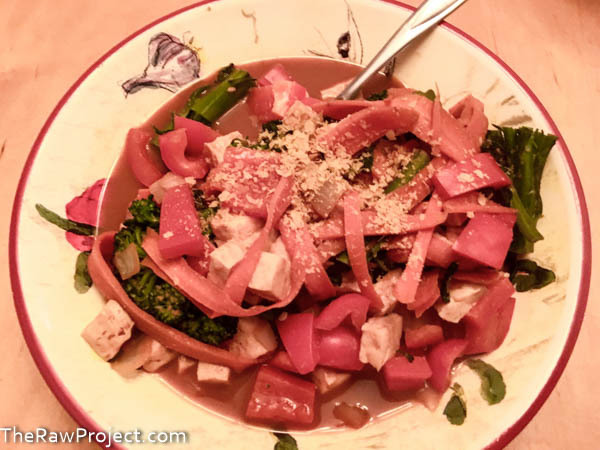 This runner is inspiring others through his dietary changes. Here’s vegan comfort recipe overload. And raw vegan dessert overload. 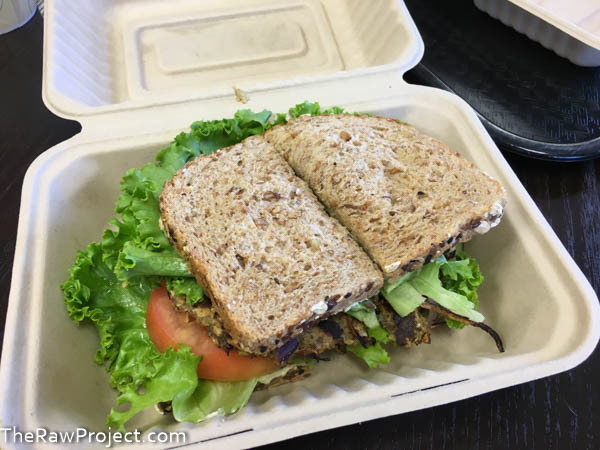 Being vegan keeps getting easier. Finally, this Vegan Calculator will remind you how awesome you are! I need to catch up on my documentaries! I finally joined Cronometer today, too! 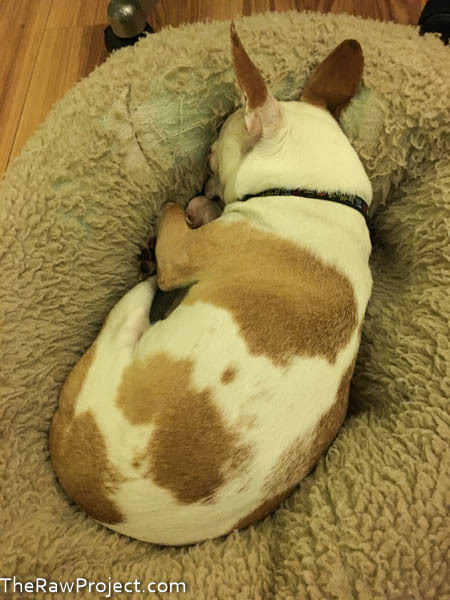 I posted a weekend roundup but am already pondering a 2nd post! BTW…we saw snow this weekend and it was 28 degrees this morning. Me too, still need to see Plantpure Nation. And wow on snow and the cold! Is that normal for this time of year? Strange weather everywhere lately I guess, scary. I hope it’s a milder winter for you! I have been so happy about the Fall weather lately :D We haven’t gone to a pumpkin patch yet this year, I’m jealous!! Agreed on the weather, so refreshing! The videos are great, fun memories. And yes, I need to look that recipe up! I love hearing people say that deep frying isn’t all that bad. When I eat out with friends they tend laugh at how “junky” I eat, but I don’t fry things at home, as I am lazy and overall that’s probably a good thing. But I eat out like 1-4 times a month, so why not? Plus it isn’t like everything I am ordering is deep fried. Nothing will kill you in moderation and if you vary your diet. Agreed and Alton Brown did a great show on deep frying measuring the oil before and after proving that very little is used when done right. And also agreed on everything in moderation, we’ll probably only break out the fryer for fun home recipes twice a month or so. Aw Miko – so cute! All your food looks great! I don’t mind a bit of fried food now and again. I also didn’t know there was a way to do it right. If I tell my husband that, he might want to get a fryer too! That is a great article on taking back the Bill of Rights. I never knew about corporation “person-hood” before. I would love it if corporations didn’t control a lot of what people ate and push drugs on people. Thanks on Miko! Agreed on corporations, it’s scary to think of the big business influence.